If you keep up on the news and current politics, terms such as “fake news” and “weaponized information” aren’t anything new to you. You’ve likely even stumbled across numerous articles and sites while searching for news and debated the legitimacy of the content – politically related or not. Regardless of fact or fiction, how do fake news sites, or any website for that matter, push down mainstream longstanding reputable sites from the top of the Google results to get in front of you? The answer – good SEO. Some might call these fake news or biased sites B.S.EO depending on the validity and accuracy of the content, but the truth is, B.S. or not, some are simply better at playing the Game of Google. And you should be taking note. When it comes to winning the game of SEO, optimized content is King. A LOT of optimized content. Legitimate or not, if the content is optimized using keywords people are searching for, and there’s a whole lot of it backlinking to each other, it’s going to show above content that is less optimized for search and has fewer links to it. Remember, Google is a machine. It can’t determine accuracy and truth in information. It can, however, choose to favor content in search results that is more relevant to a user’s search. 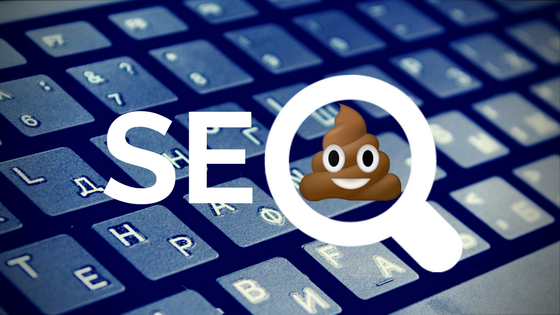 Truth and point, if you want to win the game of SEO and beat out the B.S.EO, you have to play the game better. Generate mad amounts of shareable content that is optimized for search and get it out there. Rinse. Repeat. Don’t have a content marketing strategy? Call Anvil… because you need one!